A far cry from the cloth hammocks you’ll find hanging from palm trees in some far flung destinations, our hammock and canopy sets offer a sturdy and stylish alternative that can be used in all weather conditions. 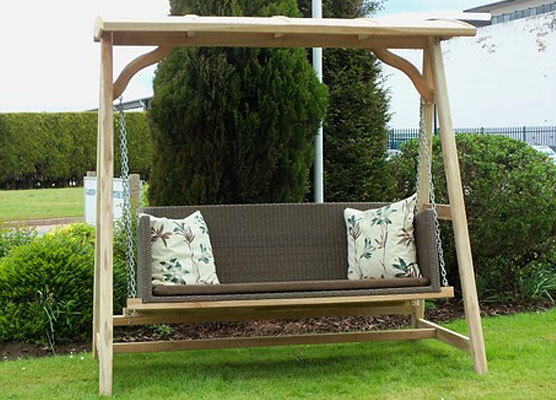 Our Teak Frame all weather hammock is perfect for all garden types and environments. It features 3 seats, a solid teak frame and all weather seat.